Opening Lines: "1989 - She sits in a sea of tangled sheets and blankets, amid the white crests of packing peanuts and age-curled pages of letters pri3ed from their envelopes with increasing feverishness." Things had never been easy between Ava Fisher and her estranged mother Ilse. Too many questions hovered between them: Who was Ava's father? Where had Ilse been during the war? Why had she left her only child in a German orphanage during the war's final months? But now Ilse's ashes have arrived from Germany, and with them, a trove of unsent letters addressed to someone else unknown to Ava: Renate Bauer, a childhood friend. 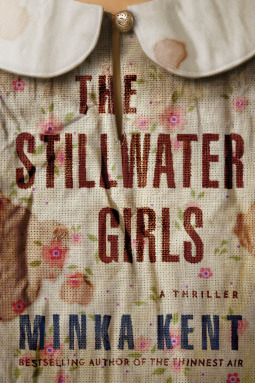 As her mother's letters unfurl a dark past, Ava spirals deep into the shocking history of a woman she never truly knew. My Review: Wunderland is a Historical Fiction page-turner that brings readers into the lives of two teenage friends, Ilse and Renate, who have vastly different perspectives and experiences during World War II. The story begins in 1989, shortly after Ilse's death, when her daughter, Ava unearths Ilse's long-held secrets. 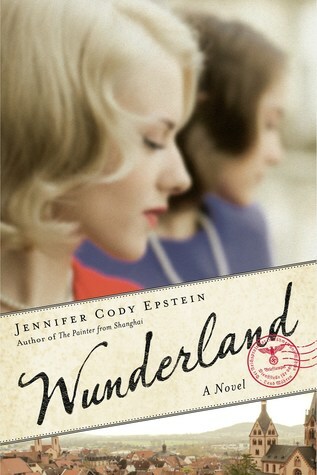 The story then heads back in time, to Berlin in the late 1930's when Ilse and her best friend Renate are teenagers. It's through the bond of these two young women that we get varying views of the war and witness the disintegration of their friendship and the reasons for it. What made this book stand out from the many, MANY WWII Historical Fiction books I've read, is how Epstein vividly describes what life was like for German citizens leading up to and including WWII. She describes the rise of the Nazi regime and their horrific methods of growing their power and shows how some German citizens began to believe the propaganda and felt justified when they participated in fear mongering and terror of their own neighbours. She also reveals the dire restrictions, discrimination and abuse Jewish families faced from their own government as well as the pitiful aid from other countries as they tried to flee. While there's a fair bit of jumping back and forth between time lines (and one that I was less invested in), in the end, Wunderland is an engaging read with story lines that merge into an incredibly revealing look at the rise of Nazism within Germany. But ultimately, the focus on the poignant, heart-wrenching tale about a complicated friendship, long-held secrets, loss and betrayal is what will keep readers glued to the pages. Disclaimer: My sincere thanks to Crown Publishing for providing me with a complimentary digital copy of this book in exchange for my honest opinion. Opening Lines: "Sixty-three days - that's how long Mama's been gone. I drag my chalk against the blackboard, marking a jagged X across NOvember twenty-first on our calendar." Book Description from GoodReads: Two sisters raised in fear are about to find out why in a chilling novel of psychological suspense from the author of The Thinnest Air. My Review: I went into this book based on the recommendation of a fellow book blogger on Twitter. Word of mouth books are the best, aren't they? I hadn't read anything by Minka Kent in the past so knowing my fellow book blogger and I had similar tastes, and with a brief read of the blurb, I grabbed a copy. Going in, I expected a creepy suspense read and ended up with a hard-to-put down domestic thriller with a twist that I didn't see coming. Opening Lines: "The key to Nancy Jones's heart dropped through her letter box at 7:35am, as she carefully shared our cat biscuits into five blue saucers." Book Description from GoodReads: You’ve seen me on the street. You’ve walked past my house, and pointed, and wondered. The cat lady. All on my own, with only my five cats to keep me company. Did no-one ever tell you that you can’t judge a book by its cover? Everyone in town knows Nancy Jones. She loves her cats. She loves her tumbledown house by the sea. She loves her job in the local school where she tries to help the children who need help the most. Nancy tries hard not to think about her past loves and where those led her. 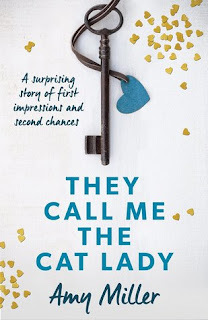 My Review: This is a charming, gentle read about a woman who has lived through many of life's tragic events and has found solace within her small, insular world with a gaggle of felines she calls family. While I didn't find it quite the emotional punch that the blurb describes, it does have an interesting main character that readers can root for as well as a diverse group of secondary characters to round out the cast. The author smoothly introduces bigger issues into the plot, I enjoyed how the life events that have caused Nancy to shy away from the bigger world were revealed to the reader. This is a heartwarming, fairly predictable but enjoyable, character-driven story that explores how one woman works through her personal tragedies and in doing so broadens the reclusive world she had created around herself. Thankfully, you don' t have to be a cat lover to enjoy this sweet book. Disclaimer: My sincere thanks to the publisher for providing me with a complimentary digital copy of this book in exchange for my honest review. 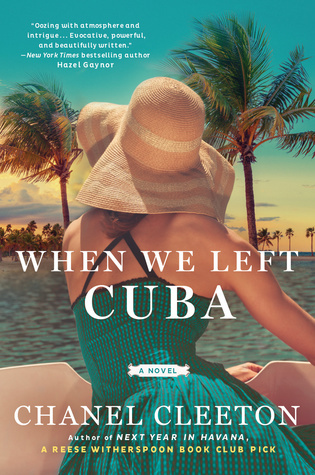 When We Left Cuba - Review & Giveaway! Opening Lines: "It arrives just after midnight, in the waning hours of night, those magical haunting hours, bundled in an elegant basket adorned with an exuberant red bow, delivered by an officious man in a somber suit who leaves as quickly as he comes, ferried away form the stately Palm Beach address in a silver Rolls owned by one of the island's most notorious residents." Book Description from GoodReads: In 1960's Florida, a young Cuban exile will risk her life--and heart--to take back her country in this exhilarating historical novel from the author of Next Year in Havana, a Reese Witherspoon Book Club pick. As the Cold War swells like a hurricane over the shores of the Florida Strait, Beatriz is caught between the clash of Cuban American politics and the perils of a forbidden affair with a powerful man driven by ambitions of his own. When the ever-changing tides of history threaten everything she has fought for, she must make a choice between her past and future--but the wrong move could cost Beatriz everything--not just the island she loves, but also the man who has stolen her heart. My Review: When We Left Cuba is a companion novel to Cleeton's popular Next Year in Havana which continues following the Perez family during the tumultuous 1960's when they were forced, like many Cuban families, to flee their country and find asylum in the US. I wanted and expected to love this book as much as Next Year in Havana but there were a few things that got in the way. First, there's a lot going on in this book but the story felt like it lacked direction. We have the Perez family dynamics (which play out in the background) and there's an elicit romance (which distracted from the political espionage) and a story that follows the politics of the time and how it influenced Cuban refugees living on US soil. I liked the premise of continuing the Perez family story through the eyes of another sister. In this book, the focus is on Beatriz - the head-strong, confident sister who goes against social convention and whose main goal is to return to her beloved homeland. I love that Beatriz is a strong female character, but I didn't find her compelling or that she developed enough which influenced my connection to her and her story. Overall, this is an interesting book that brings to light the political tensions and the personal sacrifices many Cuban citizens faced during a volatile period in history. While I didn't enjoy this book quite as much as Next Year in Havana, I still recommend it for people who want to learn more about the history and politics of the 1960's and get a better idea of how they effected Cuban people and their culture. Disclaimer: My sincere thanks to Berkley Publishing Group and NetGalley for providing me with a complimentary digital copy of this book in exchange for my honest review. The author is giving away a $100 Amazon gift card, Lilly Pulitzer palm tree necklace and earrings set, When We Left Cuba coffee mug, Besame cosmetics vintage-inspired lipstick, signed When We Left Cuba recipe cards and signed bookmarks. The giveaway runs until April 20th! Opening Line: "She was not used to being hunted." My Review: The Huntress is the talk of the town for Historical Fiction lovers. Fans will remember Kate Quinn's previous book, The Alice Network which also garnered much praise from readers and with The Huntress, Quinn once again, centres her story around strong women surviving in dangerous times. The story about the post-war hunt for a WWII murderess is told using three story lines so there is a lot of switching back and forth between characters and time lines. These transitions weren't always smoothly done but the biggest issue I had with this book was its length. I loved the premise, but this is an excessively long read that often gets bogged down with too many details. 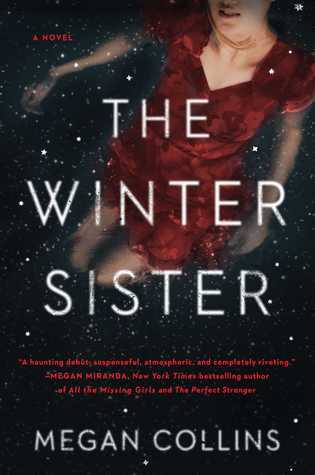 While I enjoyed learning about The Night Witches, there were a few times when it felt like historical details were dumped into the plot and I felt too much page time was devoted to the minutiae of Nina and Jordan's daily lives when I just wanted to get back to the manhunt for die Jagerin (the Huntress). But this hunt doesn't happen until the last 10% which I found frustrating. And the fact that the reader already knows The Huntress' identity takes away from the tension and results in a predictable read. 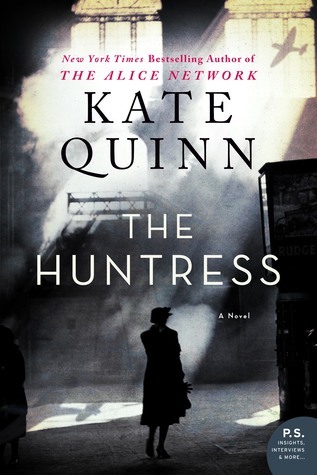 While it is evident that Quinn researched the era well and had an interesting premise, I found the execution and the weaving of the three story lines weaker than expected and with its lack of tension and excessive length, I found it detracting enough that I liked, but didn't love this story. Opening Lines: "Mistakes were made. The first wasn't even something I did; it was only a germ of an idea, fleeting but infectious." 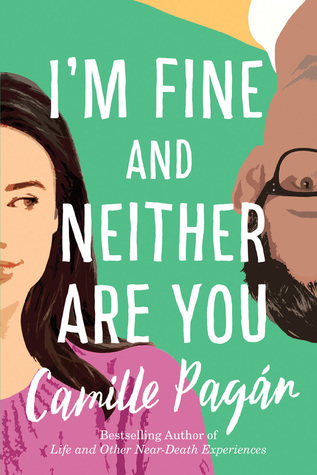 Book Description from GoodReads: Honesty is the best policy…except maybe when it comes to marriage in this brilliant novel about the high price of perfection from bestselling author Camille Pagán. My Review: This book's clever title drew my attention and but its blurb describing a story about a woman who struggles with secrets, loss and how to get her life back on track is what sold it to me. Opening Lines: "I am folding laundry at my dining room table when the police car pulls up. there's no fanfare - no sirens or flashing lights - yet that little niggle starts in the pit of my stomach, Mother Nature's warning that all is not well." 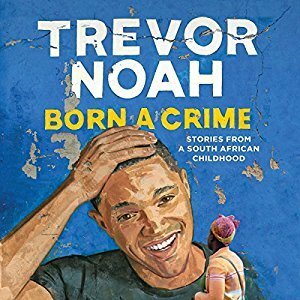 Book Description from GoodReads: Someone once told me that you have two families in your life - the one you are born into and the one you choose. Yes, you may get to choose your partner, but you don't choose your mother-in-law. The cackling mercenaries of fate determine it all. 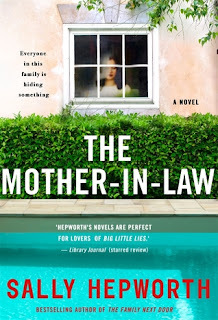 My Review: The Mother-in-Law is a family drama that focuses on the evolving, complicated relationships in one family that are brimming with secrets, misunderstandings and omissions. The story is compounded when the mother-in-law is found dead, adding a twisty murder 'whodunnit' that readers can sink their teeth into. The story is told in two different time frames using the POVs of Lucy and her mother-in-law, Diana. These two women have a complicated, often territorial relationship that is fraught with misunderstandings. It's through these two points of view, that readers witness their often differing perspectives, the assumptions they make and how the omission of their true feelings lock them, as well as others in their extended family, in persistent emotional conflicts. 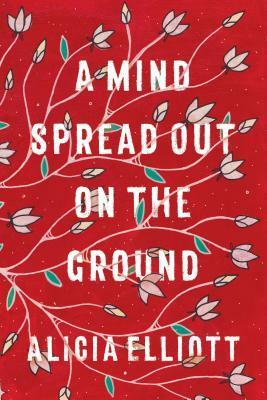 Readers will be able to sympathize with many of the issues and feelings raised and some may connect with the ever-present tension of family members fighting for emotional territory. The characters, which include several extended family members, are a well-rounded bunch and you may be surprised at which characters you sympathize with. Extended family can be complicated, often messy and sometimes filled with different battles being fought behind the scenes. 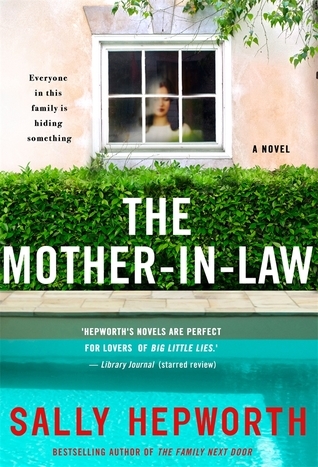 With The Mother-in-Law, Hepworth provides readers with a thought-provoking, multi-layered and character-driven story that will provide substantial fodder for book clubs - especially those that include readers from different generations. Disclaimer: My sincere thanks to the publisher, St Martin's Press, for providing me with a complimentary digital copy of this title in exchange for my honest review. 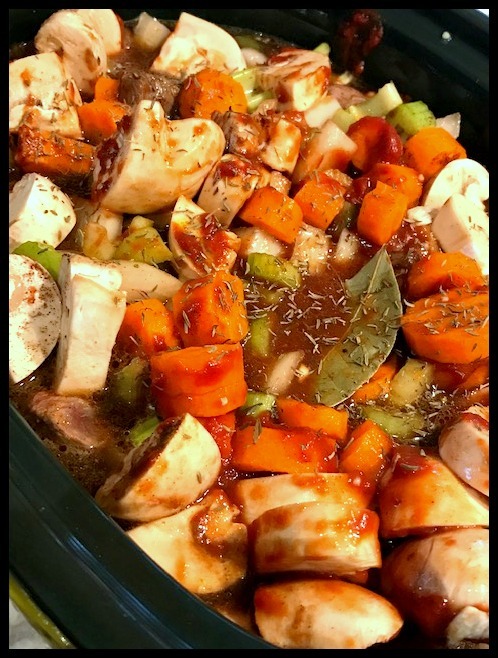 I was thinking of naming this recipe Boozy Beef Stew but thought that may offend some people so I opted for a more demure title (even though this stew has red wine and a large can of stout or dark lager beer in it). I don't want to get too big for my britches, but this could be the beef stew to end all beef stews. It has so many flavour combinations going on, but they all work together into one gigantic, gastronomically delicious dish. Nom-nom! Beware though, even with the addition of the cornstarch in the last hour of cooking this is still a very juicy stew. To 'solve' this issue, we sopped up the extra juices with thick slices of crispy garlic bread (oh, my word!). 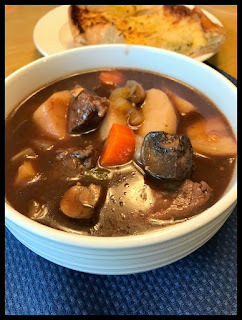 As the cooled, it thickened up quite a bit so I'd call this more of a 'stoup' (half soup/half stew) and the leftovers (of which there will be plenty) will be thicker than the first time you eat it. The wine and beer give the stew a delicious richness and depth of flavour and the chunky cuts of meat and veggies round out a fantastic, hearty meal. Just make sure you don't skip the step where you sear the meat! It makes a world of difference for keeping the moisture in your meat and making it fall-apart tender too. Prepare Emeril's Spice Mix by combining all spices and mixing well. Keep remaining spice mix in an air-tight container for later use. Prepare stew: Heat oil in a large skillet over med-high heat. Add beef to skillet. Sprinkle meat with Emeril's Essence spice mix and sear outside of meat ensuring that all sides are seared. Remove from heat. Meanwhile, add potatoes to your large slow cooker. Place meat onto the potatoes and scrape all of the juices on the spuds too (putting the potatoes on the bottom will ensure that they cook through and are surrounded by all the liquid). Add remaining ingredients except the cornstarch. Gently mix up the beef, veggies etc. (try to leave the potatoes on the bottom). 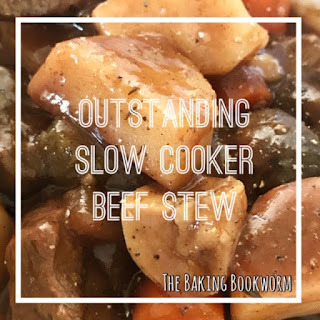 Place lid onto your slow cooker and set it on the low setting. Cook on low for 8-10 hours. About an hour before serving, remove about a 1/2 cup of the liquid from the slow cooker and add the cornstarch. Mix well and add to the slow cooker. Gently mix. This should help thicken your stew. Add more if you want it thicker. The first night it's quite juicy - perfect for dipping crusty bread! Remove bay leaf. Serve stew with a crusty loaf - one of our favs is my Honey Whole Wheat Bread (click HERE for the recipe) which is ever-so-tasty and great for dipping. Book Description from GoodReads: The second cookbook from the award-winning blogger behind Love and Lemons --devoted to easy, seasonal, vegetarian recipes that make inspired everyday cooking attainable. Jeanine Donofrio, founder of the wildly popular Love and Lemons food blog, has redefined fresh vegetarian cooking with her inventive recipes using seasonal ingredients. Now in her second cookbook, Jeanine presents simple techniques for cooking bright, beautiful food every day. With more than 100 recipes for breakfasts, lunches, and easy suppers, as well as quick flavor charts for salad dressings and other staples, this cookbook proves that getting in your kitchen every day can be rejuvenating. Recipes like Crispy Butternut Squash Burrito Bowls, Spicy Tomato Watermelon Salad, and Blueberry Fennel Focaccia showcase Jeanine's philosophy that simple combinations are the key to flavorful, exceptional meals. 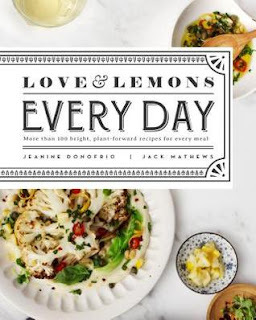 My Review: Love and Lemons Everyday is the second cookbook by Jeanine Donofrio, the blogger behind the Love and Lemons food blog. With her down home 'girlfriend in the kitchen' vibe, Jeanine (and her husband, Jack), bring readers inside their home kitchen where they share their passion for plant-based recipes. This beautiful, inspirational and doable cookbook is packed with stunning colour photos and includes season-specific recipes featuring a wide range of produce. 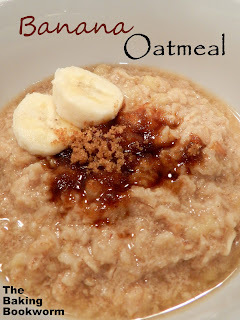 These are recipes for the average home cooks who want to focus their diet on vegetarian or vegan options with ingredients can be sourced from local food stores or farmer's markets. Donofrio also includes great tips sections including: her favourite kitchen tools, tips for protein sources and a great 'Waste Not, Want Not' section that details inventive uses for those odds and sods like broccoli stalks, beet greens and the cores of cauliflower so there's less waste and more taste in your dishes. With our home boasting one vegetarian and a couple who enjoy eating less meat, we are making and enjoying more vegetarian meals. I appreciate the wide range of recipes in this cookbook and how big-name veggies, like sweet potatoes, cauliflower and squash, take centre stage and that meat substitutes aren't the focus. That said, I personally found this cookbook to be more vegan-focused than vegetarian, which doesn't fit our family quite as well as I had hoped. Overall, this is a beautiful and versatile cookbook for vegetarian or vegan home cooks, or for those of us who just want to eat a little less meat without giving up taste and creativity in the kitchen. With these easy to use recipes, home cooks will be making healthy, fresh and wonderful tasting meat-free dishes for the whole family. Disclaimer: My sincere thanks to the publisher for providing me with a complimentary advanced copy of this title in exchange for my honest review.